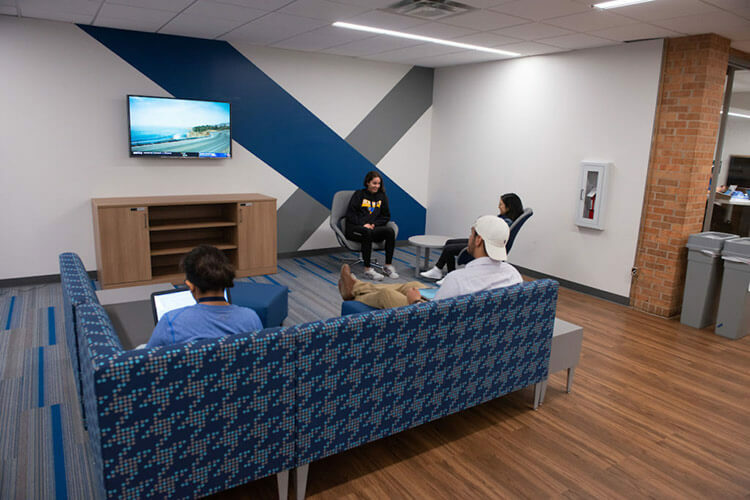 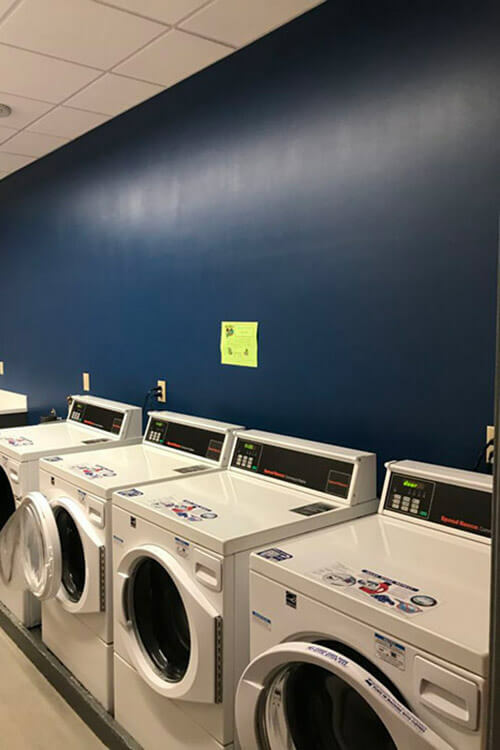 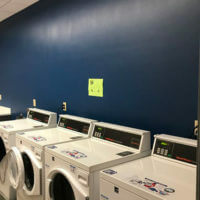 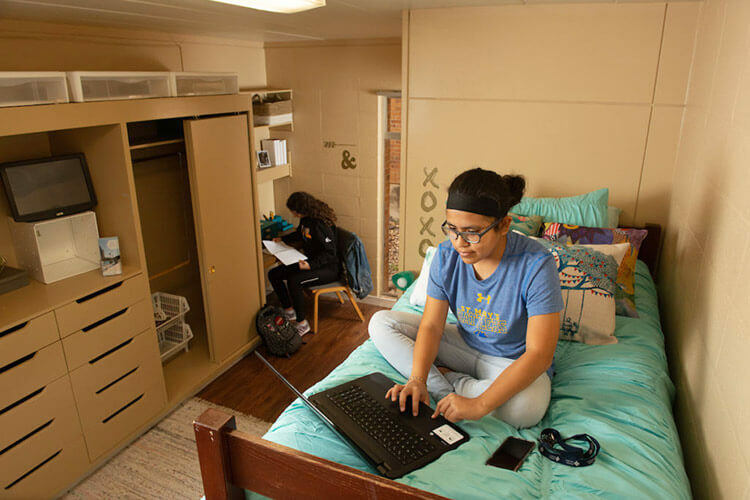 Remodeled in 2018, Dougherty Hall is one of our primary freshman and first-year halls and is home to the Political Science Living Learning Community. 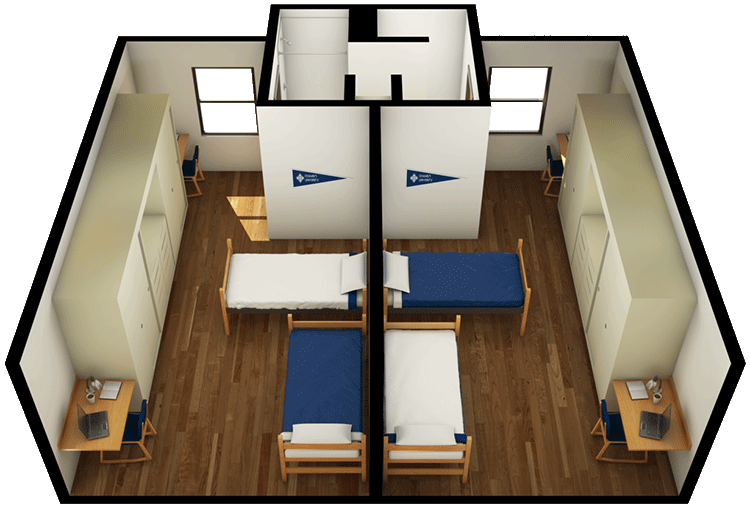 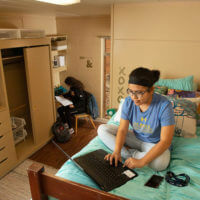 As a two-story, suite-style residence hall, Dougherty accommodates two people per room that are the same gender by room and suite. 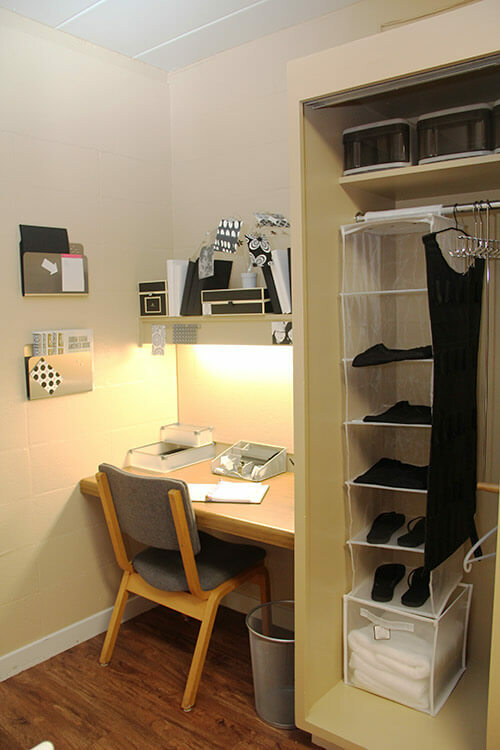 Each room has an interior hallway entrance, built-in closets, drawers and desks with a chair and twin bed for each person. 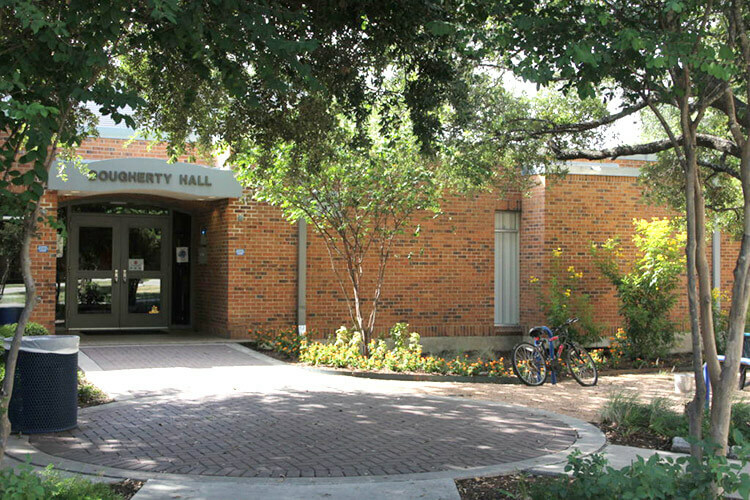 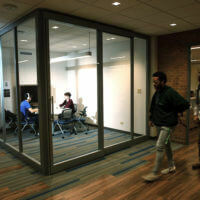 Dougherty Hall has two wings connected by a shared common area with one hall entrance to the building through the main lobby. 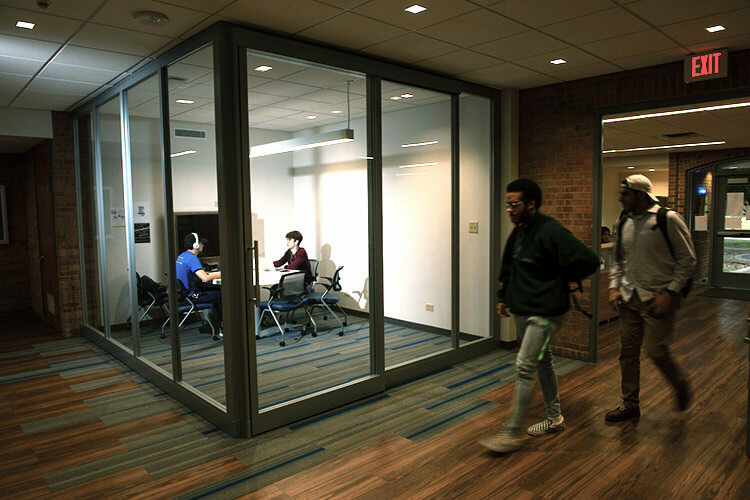 The Political Science Living Learning Community is available for freshman political science majors interested in connecting more closely with students in the same program and the faculty in the Political Science department! 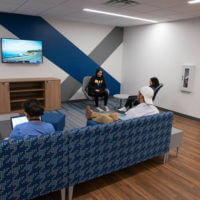 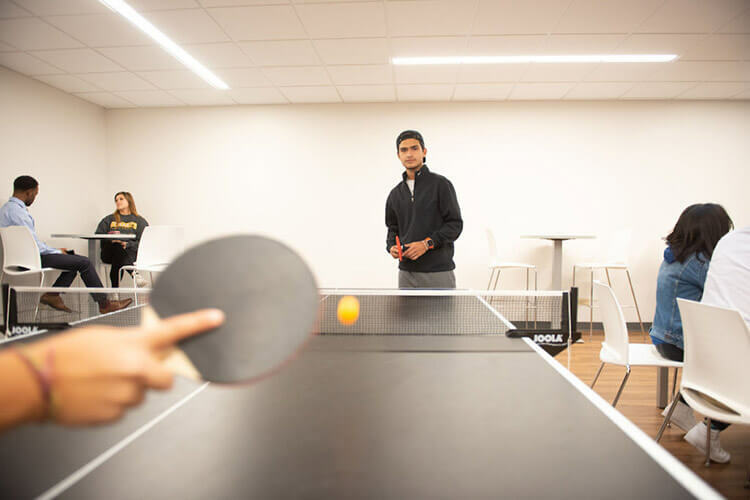 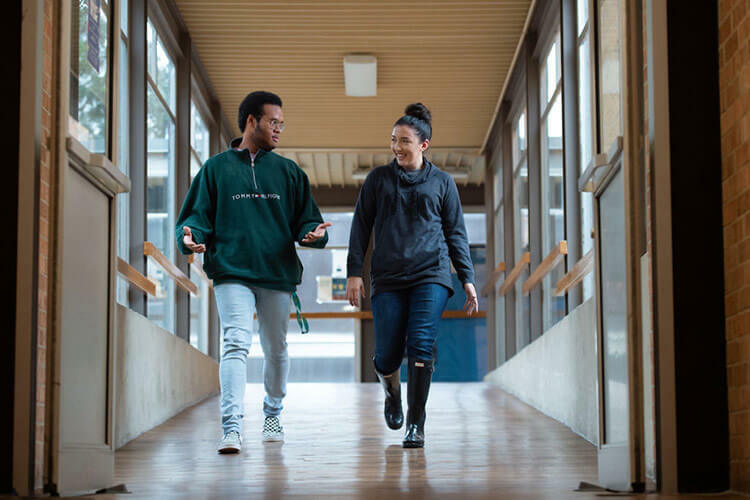 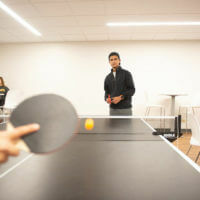 Students in this community will take classes together, and have specific programs that will allow them to get to know their fellow Political Science students and faculty better.